So … the monthly streak has reached its first real challenge. 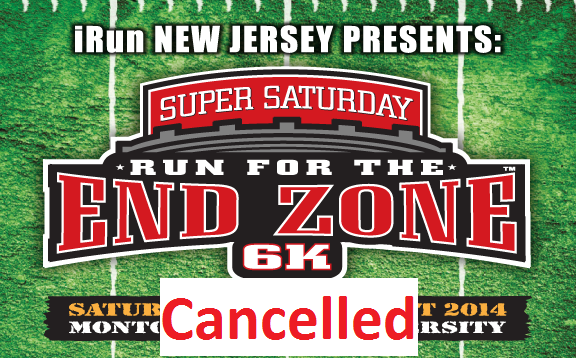 My next race, which is also the February race, was scheduled to be the Run for the End Zone 6K in Montclair, New Jersey, on February 1. This was going to have several good things going for it – it didn’t start until 10am, so my family could come out, it was a 6K so an automatic PR, and the finish line was the end zone line in the football stadium at a college there in Montclair. Just overall goodness there, right? Alas, ‘twas not to be. They cancelled the race. Turns out, one of the roads we were intended to run on for a short distance was a county road, and they couldn’t get the local government to agree to shut it down (or even move everybody over) for the duration of the race. Therefore, safety issues. Therefore, no race. Nope. Nope-itty nope nope nope. At least they did it with enough advanced notice to let us find other options. They wanted to run the race, too. I’m certain that they are extremely disappointed – they’re people doing their thing, just like I am. Cut them some slack. This made me take a hard look at my training calendar. And it turns out, my training calendar had a problem. Of course, I’m in the midst of marathon training (10 weeks out now! ), and the weekly long runs have reached the point where I’m likely running farther than I ever have before on any given weekend. That all builds up to and culminates in a 20 mile training run that happens, in theory, 2 – 3 weeks out from the marathon. In practice, I had it scheduled for 3 weeks out from the marathon. On the same day that I’m going to be at a wedding. In Colorado. In February. There is no chance I’m running 20 miles in Colorado in February. Zero percent chance. Nope. Nope itty nope nope nope. So we can make the argument that the race cancellation saved my bacon – and I therefore cannot be frustrated with them. 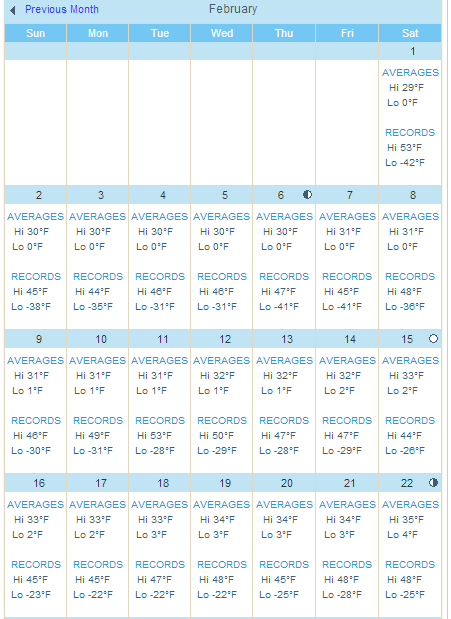 I still haven’t chosen the exact replacement race for February (thankfully there are options), but I have moved the calendar around and will now be doing a 2-week taper out of necessity. Do these kinds of things come up for you, or was this just me screwing up?